Thank you to Java House for the product. All thoughts and opinions are my own. Coffee is not only something I enjoy drinking, but it is a part of my routine in the morning. Something about it helps me get my day going in the right direction. I jumped at the chance to try Java House's Authentic Cold Brew Coffee. I love trying new products and I'm always up for trying different kinds of coffee. 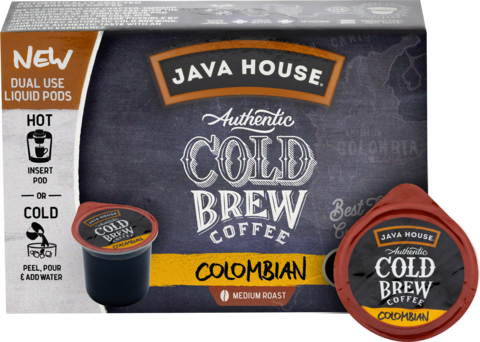 I have never seen anything like the new Java House Authentic Cold Brew Coffee pods. You can either brew it warm or simply pour in a glass with ice and 8 ounces of water for a refreshing cold brew beverage. Java House is committed to brewing the best coffee using the best practices. Using high-quality ingredients and time, the Authentic Cold Brew is free of preservatives, additives, and any other derivatives. It is the company's passion to use time-tested craftsman techniques and brewing in small batches to reach the absolute highest quality of coffee. The Java House Authentic Cold Brew pods are so delicious and also very convenient. The afternoon struggle hitting you at work? 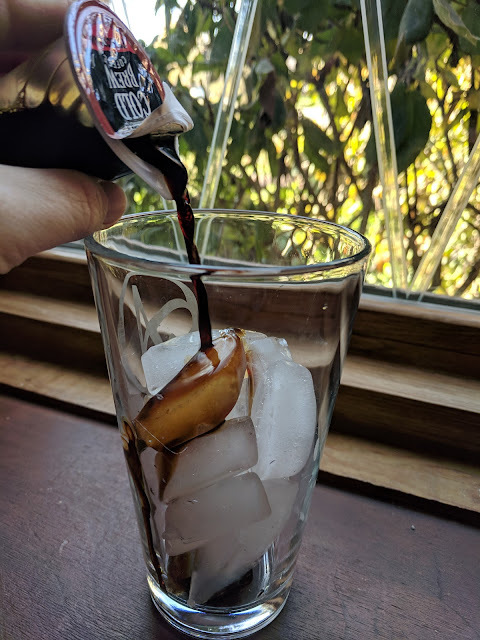 Take a pod, find some ice, and push through the rest of your day after a bold cup of cold brew. I feel like the liquid also has a little better quality with the hot coffee than the ground coffee. I like my regular coffee, but a little extra something is nice sometimes. If you're in the mood to take your coffee to the next level, try some of Java House's recipes like Hot Salted Caramel Coffee, Cocoa-Nut Coffee, and Cold Brew Mocha. They seem a little holiday themed to me (or it's just a reason for me to drink more coffee, which I'm okay with). You can also buy bottles! A 12 pack will run $29.99. You can also just buy the concentrate for $12.99 (32 ounces). Follow Java House on social media for yummy recipes and updates. 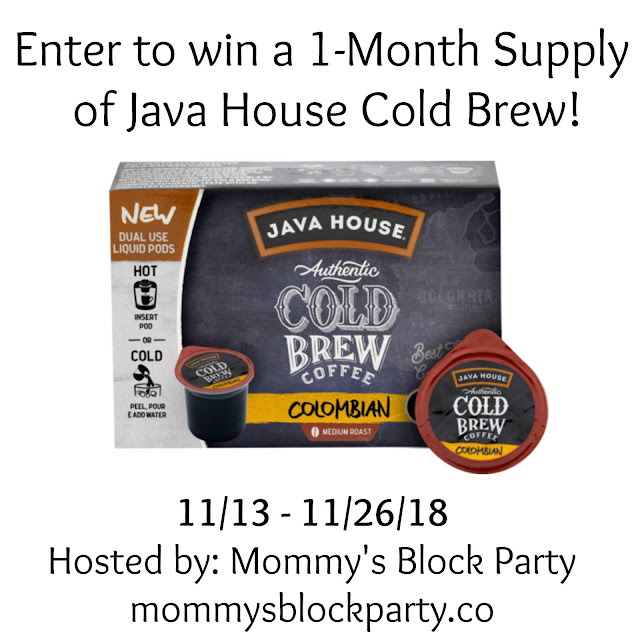 One lucky MBP reader will win a one-month supply of Java House Cold Brew! Just use the handy RC entry form below to enter for your chance to win! 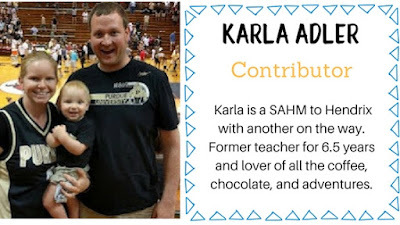 Special thanks to Java House Cold Brew for allowing me to share about their delicious cold brew coffee! 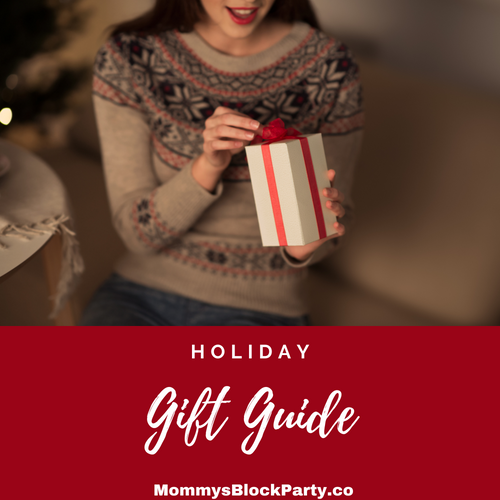 Be sure to look for it in our 2018 Holiday Gift Guide! How do you like your coffee? Have you hopped onto the Cold Brew wagon, yet? Hi Tracie! Are you trying to enter the giveaway? I'd like to try the Colombian. A bold coffee, perfect for the cold mornings in the winter. I like the creamer and stevia! I would most like to try the Columbian, it sounds really good.